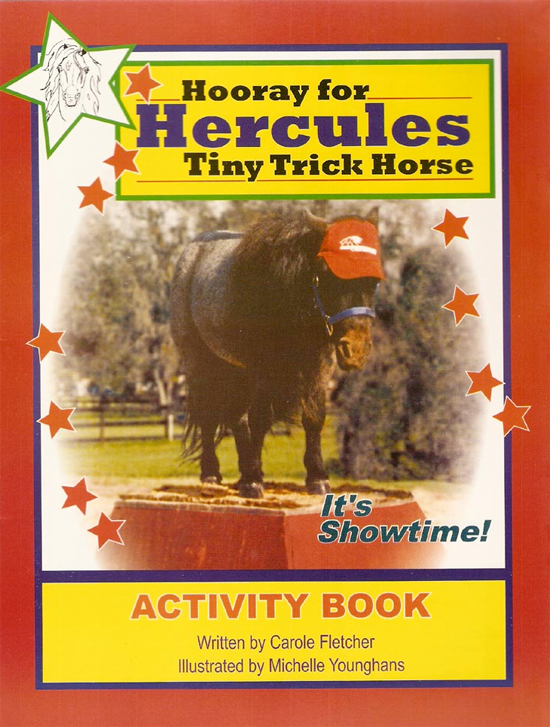 HOORAY FOR HERCULES, TINY TRICK HORSE: It's Showtime! Written by Carole Fletcher, Illustrated by Michelle Younghans, Singin' Saddles Press, 2008, 16 pages, $4.95. Meet Hercules, the world's smallest trick horse, and enjoy a day at a show with him. See him bow, pose on a pedestal, play basketball and sit down. Hours of coloring and activity fun! Photos included. Giddy up with Hercules and get your pencil and crayons ready for games, word scrambles, mazes, jokes and riddles. For kids of all ages! 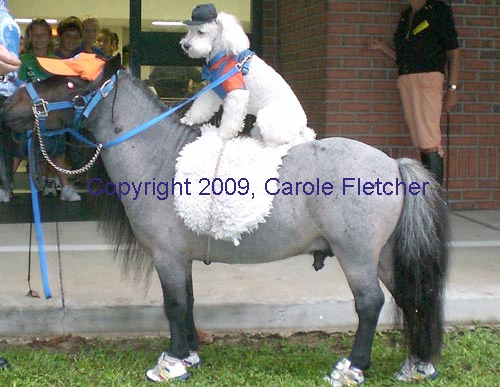 Hercules, trained by owner Carole Fletcher, is a real miniature stallion that performs in hospitals, schools, libraries, festivals and charity events. He is available for bookings for events, commercials, TV and movie work, charities.